Many of you may be off to the voting booths early this morning but I hope you can sneak in Tuesdays with Annie. As always, your choices are true or false. I failed to put that in yesterday’s blog. Were you paying attention? The November Birth Flower is the Rose. 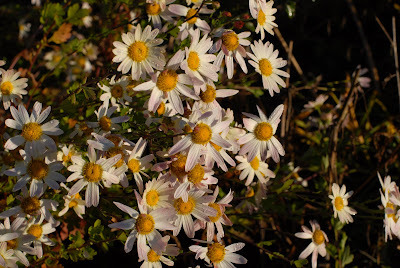 The Chrysanthemum, a favorite in the fall garden is the November birth flower. But for any of you who love roses, tomorrow’s blog may be on that subject. One of the most abundant nutrients in winter squash is beta-carotene. If you didn’t plant winter squash this year, make sure you find a spot in your garden come spring. We all need those important nutrients to stay strong and healthy gardeners. Honey was the most popular sweetener in New England until the late 1800s. Until honey bees were brought over, maple sugar was the popular sweetener. Even after refined sugar had been introduced, maple syrup continued to be the choice sweetener for New Englanders for quite some time. What do you have on your pancakes? Peonies are a long-lived perennial. Peonies, one of the tried and true perennials can live an extremely long life and gain considerable size. Some of the peonies in my garden are from my grandmother. This perennial should always be transplanted in the fall. Be sure to set them at the right height. Russia is the largest garlic producer in the world. China is the largest producer of garlic, although Russia still produces more garlic than the United States. Hope you planted your cloves this weekend.